Color is important. Almost 90% of snap judgments made about products are based on color alone. It’s true. You might have a message that will change the world, but the chances are, if your product doesn’t look good, no one’s going to pay attention. So what color gets people to buy the product? It’s a simple question, but the answer is probably not as simple. The things you might automatically assume, like “green = natural” or “brown = warm and inviting” don’t always hold true when it comes to what people think of your product. And how colors work together visually, creating harmony and contrast, also matters. Brown is one that doesn’t get used as much, EXCEPT around this time of year: brown is perfect at Thanksgiving and around holiday-time as it can signify warmth and homeliness. (Oh, and of course, where would chocolate commercials be without lovely warm browns??) 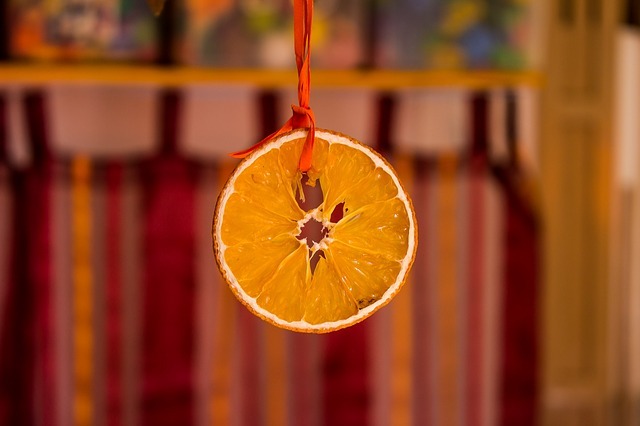 Some lesser-known color associations: did you know orange can represent change? Or that brown suggests reliability? We used a lot of browns, warm oranges and neutrals, and autumn greens in our four brand new Autumn color palettes for just this reason, and you can use them now when you sign into your Beacon account. Do you sell products that are for the home? Use the palettes to showcase a selection of your stuff, choosing products that complement and match the palettes, such as wood and natural materials. Have a fashion blog? Or a food blog? Highlight seasonal favorites against a warm seasonal backdrop. Thinking of putting out an ebook of your creative work, such as photography? Choose visual works with an autumn feel, or that suggest transition, and frame these with one of the softer palettes with more neutrals. Are you making an educational ebook? 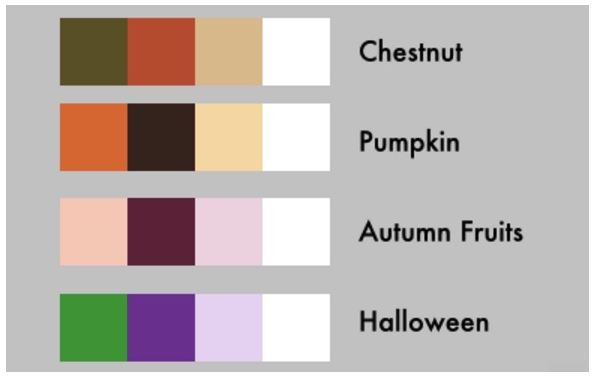 Use the bright Halloween palette to give it a fun flair! What if you don’t have a range of color palettes like the ones we provide at Beacon to make life easy? With it being such a subjective area, how can you be sure that the colors you put together for your eBook look good to everyone? This is when the color wheel becomes your best friend. You can consult a simple graphic like the one below to come up with color schemes that can’t go wrong. Complementary (opposite) color schemes make things stand out. Try putting blue and orange together, or red and green, or yellow and purple. Be careful with these combinations, as you don’t want the effect to be jarring. Think “less is more,” for example an orange button on a blue background (rather than 50% orange, 50% blue). 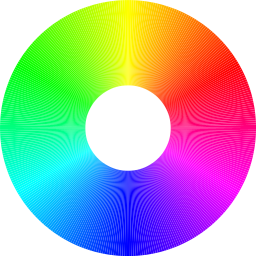 Split complementary color schemes: If you want to use three colors, choose one color as the base, then the two colors either side of its opposite on the color wheel. Monochromatic color schemes are also highly effective. This is a single color, with its shades, tints and tones. You can break the rules by adding in a completely different accent color to make something really stand out. In the big picture of visual marketing, color is one of the most important tools we have to get customers to understand the message we’re communicating about our product. Using color effectively in can make your product stand out, improve readability and influence buyers — and an eBook is a great place to do exactly that. To get access to our brand new Autumn color palettes, just sign in and start a new project. Not a Beacon convert yet? No problem! You can create a free account and get started today. And as always, if you have anything to add, ask or tell us, leave a comment or tweet it to us! 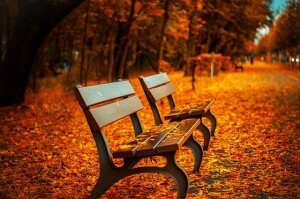 This entry was posted in Beacon, Design, Ebooks, Tutorial and tagged color theory, design. Bookmark the permalink.